The National Chiao Tung University, abbreviated as NCTU, is a renowned research university located in Hsinchu, Taiwan. The National Chiao Tung University ranking is number 38 in Asia in the University Review List. Similarly ranked colleges include Okayama University, Kanazawa University, Hiroshima University, and Kobe University. Other Taiwanese colleges include National Taiwan University, National Yang Ming University, National Tsing Hua University, and the National Cheng Kung University. It is beside the Hsinchu Science Park which is known as the Silicon Valley of Asia. The university is known for its excellence in the fields of computer science, electrical engineering, social sciences and management, as reflected in its top 100 worldwide ranking according to the 2009 ARWU Academic Ranking of World Universities. NCTU is also known for its very competitive selection process. NCTU was officially established in its current location in 1958 but its foundation can be traced back to as late as 1896. The original National Chiao Tung University was founded in Shanghai, China in 1896 at the Ching Dynasty’s Minister of Foreign Affairs Hsuan-Wai Shen’s suggestion. It was first named Nanyang College and it was established to introduce western civilization to the Chinese people. 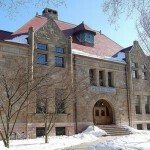 Initially, the college’s main focus was on law, politics and the translation of western books. It was later renamed to the Vocational College of Higher Education with the introduction of several vocational courses. With the establishment of the Republic of China, management of the school was turned over to the Ministry of Transportation. In 1937, authority over the school was again transferred, this time to the Ministry of Education. In 1957, with the insistence of several of the school’s alumni, a number of ministries suggested that it be transferred to its current location. In 1958, the transfer was formally completed. 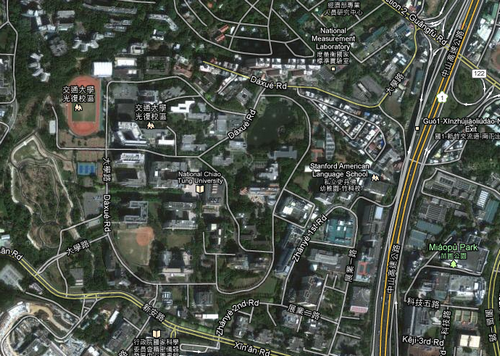 National Chiao Tung University is composed of nine colleges which are further subdivided into departments. The colleges of the National Chiao Tung University are the following: College of Engineering, College of Electrical Engineering, College of Management, College of Computer Science, College of Science, College of Biological Science and Technology, College of Humanities and Social Sciences, College of Hakka Studies and Center of General Education. The university has two offices that cater to international students: Chalmers International Taiwan Office and NCTU Europe. 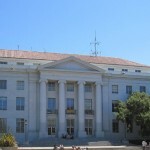 Notable NCTU alumni and faculty include the inventor of sonar and radar, Robert H. Rines; Nobel Prize laureate in physics, Jack Kilby; Nobel Prize laureate in Chemistry, Yuan T. Lee; Nobel Prize laureate in physics, Leo Esaki; and Nobel Prize laureate in literature, Gao Xingjian, among others.